Travel is big business in Dane County. Visitors to Dane County spent over $1.21 billion in 2016 according to economic impact data released by the Wisconsin Department of Tourism. Dane County experienced a 5.1% increase in tourism dollars spent in our region as compared to last year. The latest data provided by the Wisconsin Department of Tourism clearly shows that travel and tourism brings additional dollars to the Greater Madison economy. 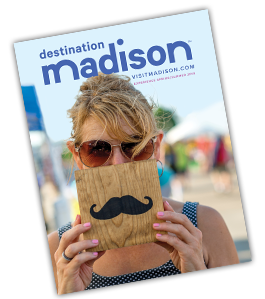 All 2016 measures of the Madison area’s tourism industry indicate continued and healthy growth in the volume of visitors coming to the destination. The $1.2 billion in visitor spending translates to total business sales at a robust $2.07 billion in Dane County in 2016. Those dollars spent reflect an economic indicator of equal import-- in Dane County; more than 21,000 (full time equivalent) jobs are supported directly by tourism according to Tourism Economics, the company commissioned by the state Department of Tourism. Thank you for everything you do to make Madison and Dane County a top travel destination for business and leisure travelers. We salute you as an industry partner and thank you for your dedication to and support of our community. If you are shopping at the Dane County Farmers’ Market on a Saturday morning, chances are you’ll bump into Fresco’s Executive Chef Chris Myers. Passionate about local food sourcing, Myers regularly shops the market for ingredients that end up on Fresco’s varied menus. Their dinner menu, which changes seasonally, takes advantage of the freshest items that are available locally. Their summer brunch menu, available May through September Sundays, from 9:30 a.m. to 1:30 p.m., is $25 per person and every meal offers a choice of entrée, two beverages and, of course, Fresco’s famous powdered sugar-dusted buttermilk donuts. The restaurant, located atop Madison Museum of Contemporary Art (MMoCA), offers incredible views of downtown Madison. Fresco’s General Manager Amanda Schnoll recalls a TripAdvisor reviewer who likened the surroundings to Europe. “It felt like being on the rooftop of a Mediterranean city back home in Europe. To the east shines the illuminated cupola of the Capitol, across is the sparkle of the Orpheum, and below from State Street hums music and bustle of people on an evening out...” (Marianne Sammann, September 23, 2016, TripAdvisor). Situated adjacent to Overture Center for the Arts and across from the Orpheum, Fresco is a great spot to enjoy a drink or a bite to eat before or after a show. In the summer, be sure to stop in on a Friday night for MMoCA’s rooftop cinema programs—an outdoor cinematic experience unlike any other in Madison. It’s not hard to find great food in downtown Madison and the Fresco staff have lots of choices nearby. A favorite guilty pleasure is grabbing a slice or two of Ian’s Pizza as a quick snack before work. When it comes to late-night options, they’re fans of Food Fight’s newest spot, Canteen, with its lively atmosphere, great cocktails and tasty tacos. Partnering with the GMCVB is a source of pride for Fresco, and the restaurant shares the CVB’s desire to offer exceptional experiences for visitors and locals alike. “We feel like we can showcase a small part of what makes Madison a great city,” says Schnoll. 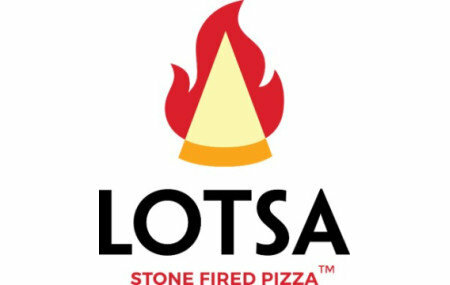 Established in 2015 LOTSA is a fast-casual pizza restaurant that specializes in offering customizable, fast pizzas and salads with freshness and ingredients to the customers’ satisfaction. Our pizza is baked in just 150 seconds! Open daily. Known for world music, early morning televised European soccer and a diverse crowd. We feature over 100 beers, two full bars, nightly entertainment, and a world famous weekday happy hour. From pizzas and pastas to steaks and seafood, Uno has it all! Enjoy our casual atmosphere and full-service indoor bar when it&apos;s cool or on our outdoor dining patio when the sun is shining.